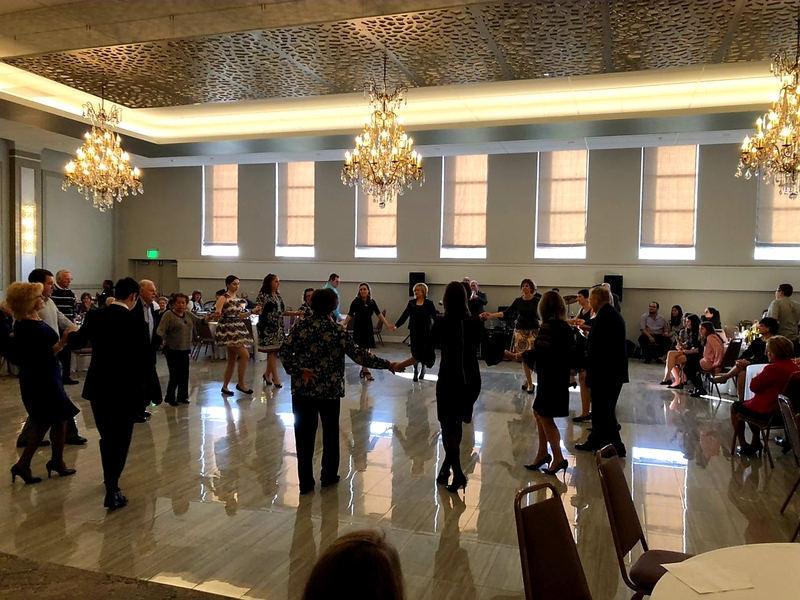 On November 11, 2018, Metropolitan Joseph celebrated the patron saint day of St. Clement Orthodox Church in Dearborn, MI. 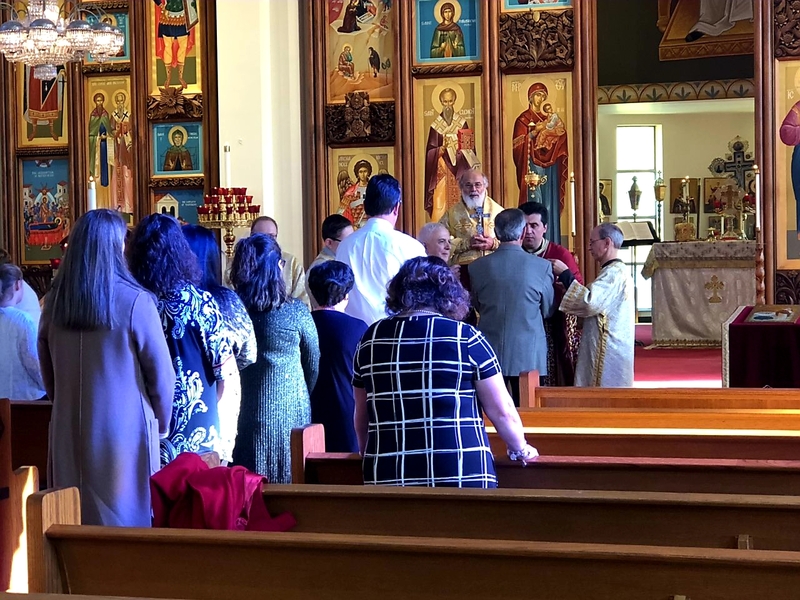 He served the Divine Liturgy for the 36th year on the occasion of the feast, which as usual, was very well organized by the parishioners. Their dedication to this feast reflected their deep faith and hope, as well as their active spiritual and social life. 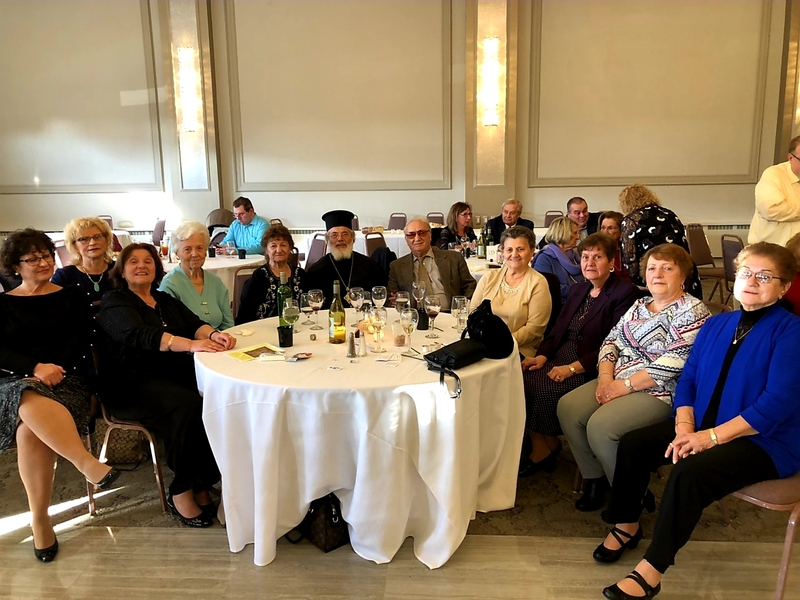 Metropolitan Joseph shared with the beloved faithful that the community of St. Clement had been blessed over the last several years with the strong fellowship and growing membership. In no small extent, it had great spiritual and administrative leadership from the parish priest Fr. Archpriest Antonie Poposki, the Chairman of the Board of Trustees George Rochette, and the President of the Church Committee Rob Kondoff. Indeed, St. Clement Church was a memorable host of the 43rd Annual Diocesan Convention in July of this year. 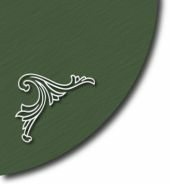 But the beautiful renewed banquet hall—and all renovations in general—are a collective responsibility of the whole parish. Therefore, Metropolitan Joseph encouraged the congregation to keep this beauty bright, now and in the future, so that with God’s will and St. Clement's patronage to prepare for the celebration of their 90th anniversary in 2019. 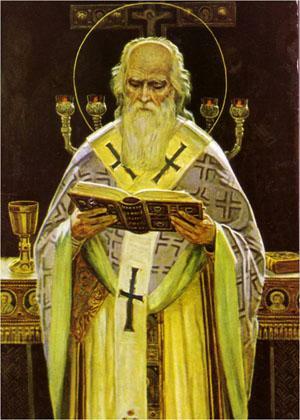 Everyone in our Diocese knows that St. Clement of Ohrid is a native saint and as such he is always in our hearts. Our founding fathers and mothers chose him as Patron, Protector and keen Intercessor for all of us before the Lord and Savior Jesus Christ. This is the reason for us to believe that Christ the Savior is always in our midst. He is in our midst mentally, as we think about Him seeing the work and gifts; emotionally, as our hearts are lifted up on account of His mercies; spiritually, as the Holy Spirit draws us closer so kindly; physically, as He is really standing before us not symbolically but actually, not metaphorically, but truly. And if we need evidence of this truth, we have to consider what we saw in St. Clement Church: the Altar is the tomb of Christ; the Gospel—the words of Christ; the faithful—the Body of Christ; the Metropolitan—the person of Christ; and the Holy Eucharist—Christ Himself. St Clement also assured us that Christ is in our midst and makes our church a house of prayer. He also is among our people in the parish – supporting them, serving them, inspiring them, forgiving them, uplifting them, and being patient with them. Truly, God loves our St. Clement Church and its beloved faithful. Their accomplishments in His time are blessed and a glory to Him. Our prayers always are: through the intercessions of Zlatniot (the Golden one) St. Clement, may God bless us, His Church and Diocese in holiness and love. Amen.